The Lenhardt Library hosts remarkable exhibitions throughout the year. These exhibitions highlight parts of the collection that visitors might not otherwise see, and the exhibitions are among the Garden’s best-loved secrets! Stacy Stoldt, public services manager of the Lenhardt Library, curated the current exhibition, Butterflies in Print: Lepidoptera Defined, open now through August 18. 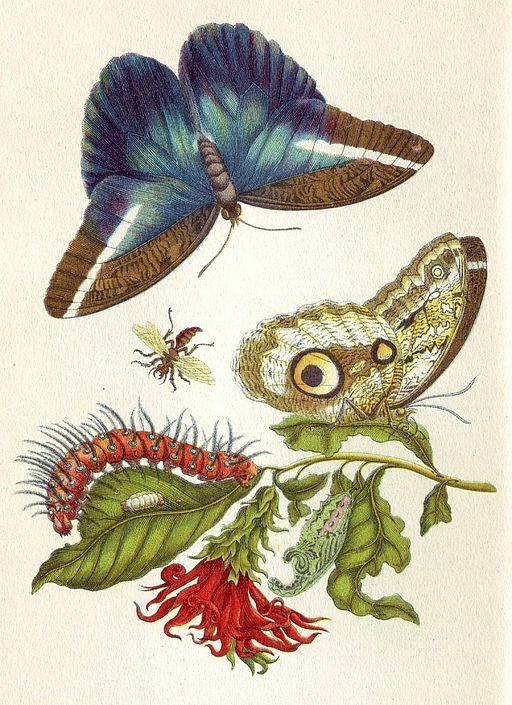 By far, the highlight is Metamorphosis Insectorum Surinamensium (Metamorphosis of Surinam Insects) by Maria Sibylla Merian, published in 1719 in Amsterdam. This volume is on loan from the Owen H. Wangensteen Historical Library of Biology and Medicine, Bio-Medical Libraries, University of Minnesota. 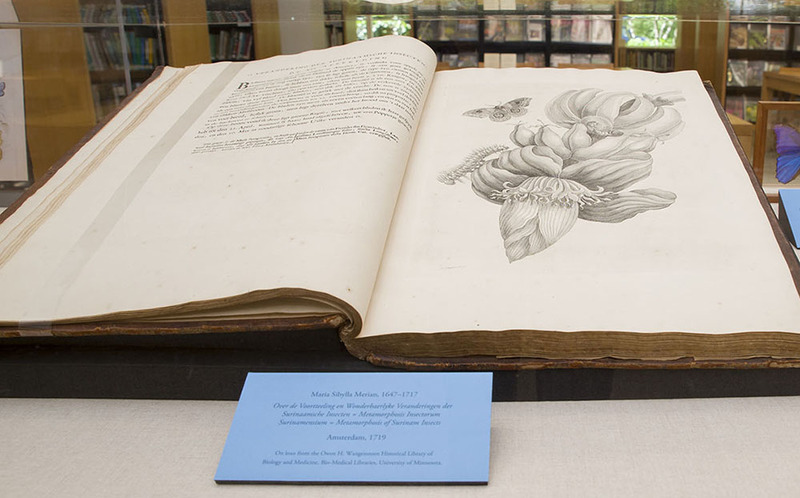 See Butterflies in Print: Lepidoptera Defined at the Lenhardt Library through August 18, 2013. Maria Sibylla Merian (1647–1717) was a fascinating woman, artist, and naturalist. While she was known for her watercolor paintings of flowers and insects, embroidery patterns, and copper engravings, she is also credited with being the founder of German entomology. At age 13 she began studying the metamorphoses of silkworms and butterflies. After five years of intense study, Merian found that adult insects actually lay eggs, disproving the earlier theory that caterpillars were born out of spontaneous generation. Divorced in 1699, she traveled with her daughter Dorothea to the Dutch Colony of Surinam (now known as Suriname) that same year to continue her entomological work and art. Her spectacular artistic abilities and scientifically accurate representations make Metamorphosis of Surinam Insects a monumental tome. Carl Linnaeus consulted Merian’s illustrations in the course of his taxonomic work in the eighteenth century. Nine species of butterflies, six plants, and two beetles were named for her. 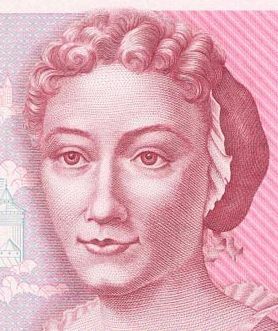 She is still a well-known historic figure today and is represented on the 500 deutsche mark bank note and a German postage stamp; she was the subject of Google’s Doodle of the day on April 2, 2013, celebrating her 366th birthday. Butterflies in Print was designed to complement the Butterflies & Blooms exhibition that showcases native and tropical live butterflies; Maria may have even seen some of these species in Suriname 300 years ago! Want to know more about our rare books? Read Stories from the Rare Book Collection, monthly highlights from our collection written by curator Ed Valauskas.